Welcome to 3 ‘n 1 Construction, your Trusted Saskatoon residential roofers and general contractors. For over a decade we’ve served Saskatoon and the surrounding area, and we are renowned for our high-quality roofing, exterior, and interior renovation services. 3 ‘n 1 only use quality products and we provide professional, skilled workmanship. Our dedicated team is committed to providing the absolute best possible customer service experience. Before beginning a roofing or general contracting project, we take the time to understand our client's needs and requirements. Contact us today and we will set up a meeting to discuss your ideas, to answer questions, and to make suggestions about your upcoming project. Based on our meeting and discussion about your project, we will then provide you with a clearly laid out quote. Our quotes include a variety of price point options, giving you options to cut costs, upgrade your project, or simply stay at your original project budget. Once the client has accepted our quote, we schedule the job. We understand that open communication is a key component to a great working relationship. From our first day on site until project completion, we ensure that your input is utilized wherever possible. 3 'n 1 Construction has a standard One Year Workmanship Warranty. We guarantee to remedy any issue that is labour related at no cost to our client.  3’n 1 Construction is a locally owned Saskatoon roofing and general contracting company built on the foundation of trust, integrity and doing business the right way. Ken Eade, the owner is invested in ensuring that his company provides high standards of workmanship along with excellent levels of service. We value great relationships with our clients and we believe that this is fostered by truly listening to them. We strive to understand your needs and work with you to achieve your goals. We work hard to add a personal touch to each and every job, treating your home as though it was ours. This means when you choose to deal with 3 ‘n 1 construction the risk has been removed. I highly recommend Ken and 3 'n 1 Construction. My roof was leaking and my condo management company was not taking care of the problem. With all of this rain, the problem was getting worse. I sent them an email Thursday evening and Ken was on my doorstep 12 hours later fixing the problem. Ken did a great job fixing our roof. We received a quote and the work was completed all in the same week. Took him about half a day and the price was very reasonable. Friendly guy too. Highly recommended. We recently had 3 n' 1 do the shingles on our roof. The quote was reasonable and Ken was VERY informative and friendly to talk with on the phone before committing. The guys were very friendly and respectful when they were here. They worked hard everyday for 12+ hours for four days in 30 degree heat, and only once took me up on my offer for some coffee/water and a snack. I would highly recommend this company!